With Folder2List you can quickly and easily create folder and file lists. Select the data to be displayed from numerous properties and format the data with various setting options. 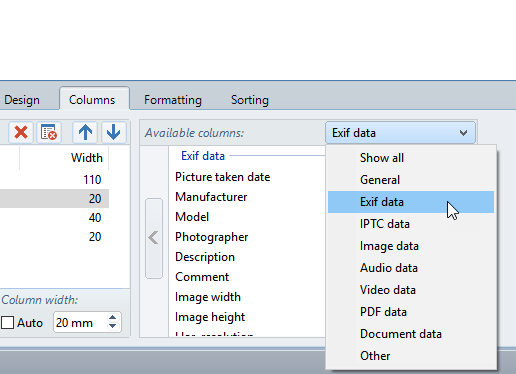 Folder2List supports metadata such as EXIF, IPTC, ID3, video attributes or Office document properties. This allows you to clearly list, for instance, information regarding your MP3 files or photos. The program offers a variety of options to individually adapt the appearance of the lists. With a few simple clicks you can customize font, background color, frames, etc. You can save these settings as a profile. 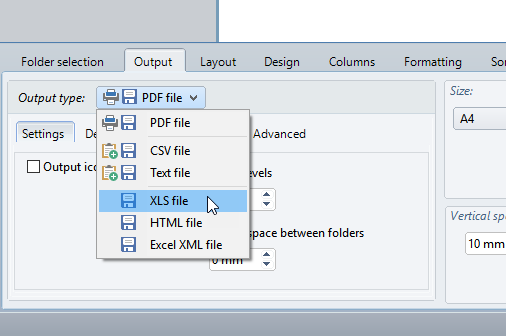 The generated folder or file lists can be printed and exported to many different formats (XLS, Excel-XML, PDF, HTML, CSV and TXT). General data (name, length of name, path, length of path, file type, creation date, modification date, access date, file size, owner, domain name). Image data (width, height, horizontal/vertical resolution, bit depth, number of pictures contained (e.g., GIF, TIFF ...)). EXIF data (taken date, camera manufacturer, camera model, photographer, description, commentary, image width/height, horizontal/vertical resolution, aperture value, exposure time, ISO speed rating, focal length, focal length 35mm, max. aperture value, metering mode, subject distance, flash mode, XP-Author, XP-Comment, XP-Keywords, XP-Rating, XP-Subject, XP-Title). Audio data (artist, album, title, year, comment, track, genre, bit rate, duration). Video data (width, height, frame rate, standard, aspect ratio, audio codec, video codec, overall bitrate, video bitrate, audio bitrate, audio compression, duration, title). With Folder2List You can list the contents of folders clearly. The generated folder or file list can be printed, for example, as simple list or in color. Furthermore, the folder content can be stored as text file, CSV file, etc., in order to import the extracted information, for example, into a database. There are several formats available for exporting the list. Due to the real-time preview, the effects of all settings (such as changes of the column width, font color, and frame color) are visible immediately. With a few clicks, you can create and export detailed lists in formats such as xls, pdf, html, txt etc. 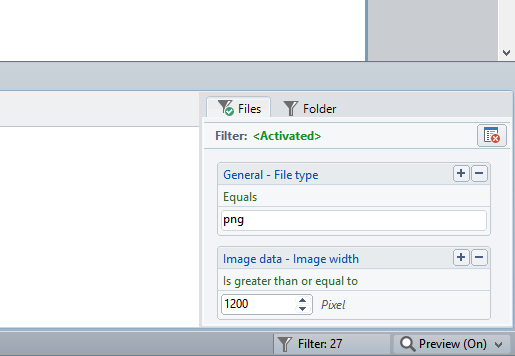 Metadata allow you to output numerous additional file information such as ID3 tag, photo shooting date, EXIF data, etc. The extensive filtering and sorting functions are applicable to all properties that can be listed (for example, the file extension, creation date, or metadata such as image dimensions), thus enabling the exclusion of files and folders. There are two independent filters available - one for folders and one for files. For example, files can be listed or output as a list of files that have specific file properties and are stored in folders that contain a certain term in the name and have also been created in a defined period of time. An unlimited number of filter criteria can be combined - for example, it can be specified that the file size must be at least one megabyte and the photo taken date must be in the previous year. Winload: With Folder2List, the folder structure on your computer can be presented in a very convenient way as a table or list, and if desired even saved or printed. FindMySoft: Specify how to create folder content lists, then print them out or export them. You can do this with the greatest of ease by using Folder2List.